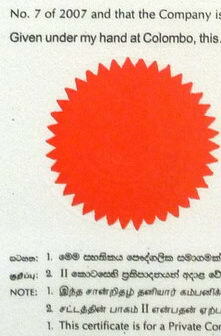 Foreigners can purchase freehold property in Sri Lanka - even with the new law (Land Act No. 38, October 2014). For freehold property purchases foreign investors are required to invest through a Sri Lankan company structure that they incorporate and that they totally control. They have to start two companies and involve a Sri Lankan trustee (more precise: an existing trusteeship service company, headed by a lawyer). Again: the investor has total control of this company structure. The company structure allows the foreign investor to freely purchase, develop, rent and sell the property. The property purchase is tax-free (please note Stamp Duty for registration of ownership: 4%). Future sale profits (capital gain) are tax-free. Dividends are tax-free (since 01.01.2016). Investment, earnings/dividends and profits can be repatriated. Note that foreign individuals can not purchase property in their name as an individual person – they need a company structure! Write to us to get more detailed information and a price list. Foreign individuals or companies can lease a property for up to 99 years. Lease titles are officially registered and very safe. The old 15% foreigners' tax on the lease value has been abolished, effective from 01.01.2016. A foreigner can presently lease tax-free as an individual or through his company. Please note the 1% Stamp Duty for registration of a Lease. The remaining years of a lease can be sold to any third party at any price. Even in case of a "lease only" investment the foreigner is well advised to incorporate an investment company to be able to repatriate his money (Rupees) in case of him selling the remaining years of his lease. Without a company being the lessee selling a lease with a profit the Revenue Department might ask for a taxation of profit. Write to us to ask for details. Foreign investment needs specialists also on the legal, company and taxation side. Such experts are difficult to identify because many not sufficiently qualified individuals try to win the foreign investor and his money. Write to us and ask about details. When looking at your investment you need solid figures. ALL costs (lawyer, broker, taxes, stamp duties, any secretarial, legal, accounting and other running services) over the years are included. Not included: electricity and water. Town council taxes are too small to mention (e.g. 20 US$ per year). Lease is more difficult to sell to foreigners or locals. Selling a lease property mostly means that the official owner sells the freehold and you cancel the lease. Income generated by cancelling a lease can create tax problems in you home country (whereas sale of freehold and sale of shares don't, according to most double taxation treaties). Every fact speaks in favour of a company structure! After a lifetime of 20 years with foreign minority shareholding the property holding company qualifies for 100% foreign shareholding. So with each year the company becomes more attractive and more valuable. At the same time you enjoy the appreciation of the land value. With the ongoing growth in tourism your yearly returns will grow (if you rent out) or the value of only privately used property appreciates since it WOULD generate a substantial rental income after your successor buys it. You can easily repatriate ongoing profits from rentals and final sales profits by being an officially registered investor.